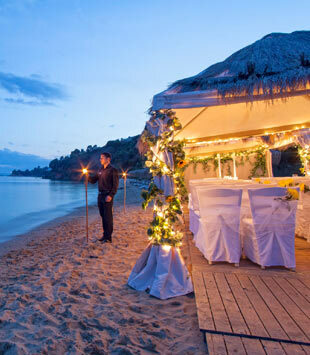 Cyprus Wedding Experts are one of the leading specialist wedding travel companies with over 18 years of experience in organising weddings in Cyprus and Greece. Getting married abroad can be an exciting yet at the same time sometimes daunting experience. At Cyprus Wedding Experts we will assist you with the planning of your wedding every step of the way, we have a selection of wonderful venues and locations for your wedding ceremony, wedding celebrations and honeymoons in Cyprus and Greece..
Our Wedding and Honeymoon Planning means that we will have every detail covered for you and we will also be there to assist you with the travel planning and arrangements for your wedding guests too. Remember every wedding is as unique as you are and our experienced and dedicated team of wedding planners and travel specialists are on hand to take care of each and every element of your Wedding and all the Accommodation & Travel Arrangements too. Our Handpicked Wedding Locations include in Cyprus the award winning Aphrodite Hills Resort, the Luxurious Elysium Hotel and Amathus Beach Hotel. In Crete - the beautiful Daios Cove Luxury Hotel & Villas and the spectacular Domes of Elounda suite only resort in Halkidiki, the stunning Sani Resort and in Skiathos, the elegantly luxurious Skiathos Princess Hotel. 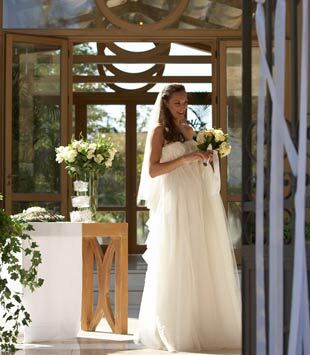 Contact us today on our Freephone 0800 810 8127 for a one to one discussion with our one of our wedding specialists, or complete our Online Wedding Enquiry Form and tell us all of your requirements and we will send you all the information you require for your perfect wedding and honeymoon in Cyprus and Greece. Cyprusweddingexperts.co.uk when selling travel arrangements is a trading name of The Midcounties Co-operative Ltd.